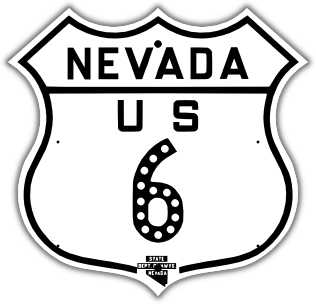 Nevada shield with MUTCD fonts. 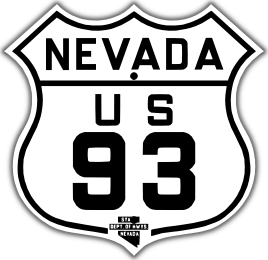 Cutout U. S. route marker with Nevada State Department of Highways logo. The sign is 16 by 16 inches. It is porcelain enamel on steel, just like classic signs were made back in the day. 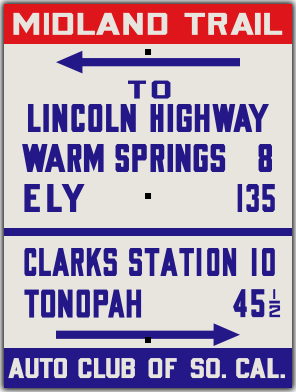 Cutout U. S. route marker with Nevada State Department of Highways logo, and either glass cateye or plastic Stimsonite reflectors. 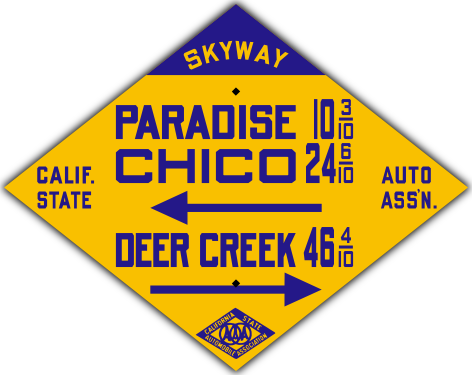 Available with any route number, and either reflector style. 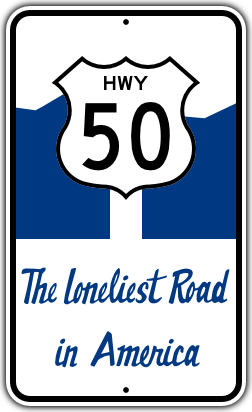 When Time Magazine named US-50 across Nevada as the Loneliest Road in America, the highway department promptly put up these signs. 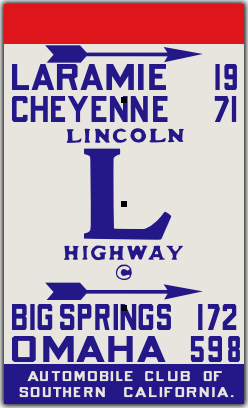 For a while, one could get a certificate, signed by the governor, for the achievement of driving this highway, which features as many as 90 miles between gas stations. The sign is 15x25, 21x35, or 30x50 inches. It is printed using cutting-edge technology, to replicate accurately the look of classic Silver Scotchlite sheeting. 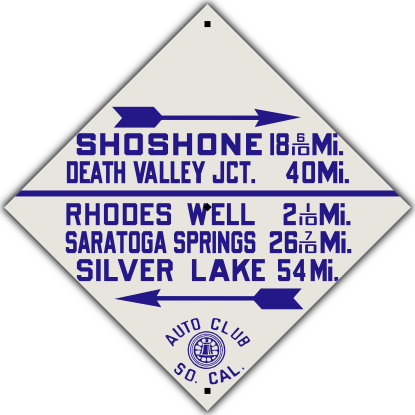 This style of guide sign was placed by the Auto Club of Southern California along the western half of the Midland Trail. 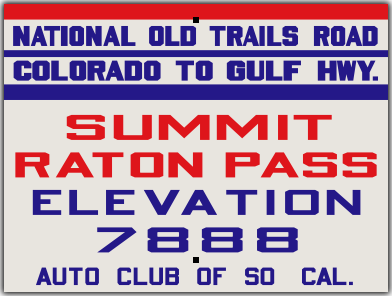 It was used from around 1914 to 1929.